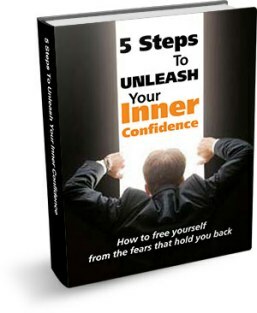 IMPLEMENT THESE FOUR FACTORS TO BRING ABOUT YOUR ULTIMATE CONFIDENCE MAKEOVER. Do you struggle with getting the results you want as quickly as you want to get them? Does it ever seem like certain people have all the luck in the world and fall into success with ease? Would you like to become one of those people who get results and experience rapid transformations in every area of their lives? If you answered “Yes” to any of the questions above, then stick around. 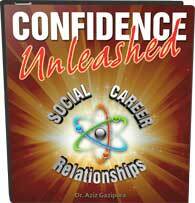 Today, I’m going to let you in on the truth behind this social divergence and share a personal discovery that has led to major breakthroughs for both me and my clients: The Confidence Transformation Formula. We can be stuck for hours, days, or years . . . but that doesn’t mean we have to stay stuck forever. This topic was inspired by a recent experience in which one of my Unstoppable Confidence Mastermind clients was feeling particularly frustrated with always being stuck. He wanted to improve his dating life, but he wasn’t taking action and had felt stagnant for so long that he was unable to get his energy up. In truth, it went on for so long that even his peers and I were getting frustrated. Why was it that so many of my clients could absorb the information and make great progress in a number of days or weeks and, for others, it would take years? After pondering all night and well into the next day, I finally distilled my thoughts down to one ultimate Confidence Transformation Formula that contains four elements: C x R x 2A x OMOS = R2 Transformation. Don’t let the math get you down—it’s just symbolic and it will all make sense in a minute! – C stands for Clarity – People who make quick progress tend to have great clarity on exactly what it is that they want. Maybe you want your dating life to improve, but can you get more specific? What about it needs to change? What kind of women would you like to meet? The more specific your goals—and the more focused you are on one specific goal at a time—the more likely you will be to reach them, and the faster your transformation will be. – R stands for Receptivity – My most transformative clients are the ones who are the most receptive to change, new information, out-of-the-box ideas, learning new things, and applying a number of techniques. In order to see change, you have to be willing to admit that what you’ve been doing isn’t working, accept that there might be a new way to move forward, and embrace it with all your heart. I can spend all the time and energy in the world trying to open someone up to receptivity, but it’s not nearly as effective as when someone enters into the process ready to jump in head first. – 2A stands for two kinds of Action – If you really want to skyrocket your progress, you must use both immediate and consistent action. o Immediate Action – This involves your response to suggestions or opportunities that happen in the moment. If you’re reading a book and there’s an exercise to try, do you do it? If an opportunity to act presents itself, do you jump right in and take action? If a new technique is explained in a class, do you go right now and apply it the next day? o Consistent Action – This is important because taking just one big action and not acting again for a month is going to get you nowhere— if you hope to create long-lasting meaningful change, your actions also have to be consistent and persistent over a long period of time. This involves adopting new ideas fully, getting rid of avoidance, and actively looking for chances to use the new information you’ve absorbed on a regular basis. – OMOS stands for On My Own Side – I did an entire video on this recently, so if you really want to dive into this topic, go check that out and come back. But, in short, the question we consistently need to be asking ourselves is, “Am I on my own side, no matter what?” Are you compassionate with yourself? Do you speak kindly and respectfully to yourself in your own mind? It does no good to berate yourself every time something goes wrong, so take a look at my OMOS video if you feel like you need some help discovering how to better support yourself through difficult moments. Finally, R2 stands for rapid and radical transformation – Obviously, this is the goal of this entire episode: if you do these things (find clarity, stay receptive, take action, and stay on your own side), then you will see quick and massive transformation! Over the many years that I’ve been doing this, thousands of clients—from private participants to mastermind groups to seminar attendees—have been thrilled to find that they have been able to change everything about their lives through this work. Social anxiety may be an intimidating condition that you’ve been dealing with your entire life, but it is not the defining characteristic that dictates who you are. We can learn; we can grow; we can transcend these obstacles; we can transform ourselves. Even someone who suffers from social anxiety can become an incredibly powerful speaker and leader; he can have meaningful, deep relationships; he can have a thriving social life. Who we are is just a matter of selecting the patterns we create and adhere to. If you want to enjoy a rapid transformation, you simply need to commit to the new patterns of behavior that will facilitate that change. Now, there’s one important piece to this that I haven’t discussed yet, and that’s the type of operation used. In this case, I chose to multiply these factors because the formula cannot work without any one piece. Think of it this way: any number multiplied by zero is zero. It doesn’t matter if that number is 1 or 1 million—it totals nothing without another value of at least 1 by which to multiply itself. Confidence transformation works the same way! You can have all the clarity in the world, but without receptivity, you will never understand how to get what you want; you can be on your own side all day long, but without action, you will go nowhere. Each piece of this puzzle is absolutely necessary, and no one piece can be boosted enough to make up for another. Knowing that, moving forward with this knowledge becomes very simple: just give yourself a rating for each factor. From there, you simply evaluate which area might need some boosting and proceed accordingly. – How much clarity, receptivity, action, and OMOS do you have on a scale from 1-10? – Low on clarity? Ask yourself what your ideal life looks like: what do you do? How do you act? How does that feel inside? Specifically define your goal in vivid detail. – Low on receptivity? Ask yourself if you’re really letting the information in: are you looking outside your sphere of comfort for solutions? Are you open to trying those solutions regardless of how uncomfortable they make you feel? – Low on action (most common)? Ask yourself which form of action you might be missing: is it both immediate and consistent action? How much are you doing every single day? Could you be pushing your comfort zone further? – Low on OMOS? Ask yourself what kind of voice you use to talk to yourself: is there compassion and respect there? How long does it take you to gain control over that voice when it gets going? If you are feeling stuck, you don’t have to sit there and deal with it—there are so many steps you can take to gain control over your own life starting right now, and this formula is a great way to get started! Take charge, do the work, and make an effort to get these four factors firing on all cylinders—you’ll be amazed at the results you see. This is brand new material that I’m really excited about sharing, and I’d love to get your feedback on how it’s working for you! What experiences have you had so far? What is your greatest struggle? How have you worked to boost your four formula factors? I would love to engage with you in the comments section below. In the meantime, please feel free to subscribe, “like,” and share so that we can stay connected and continue to grow together.